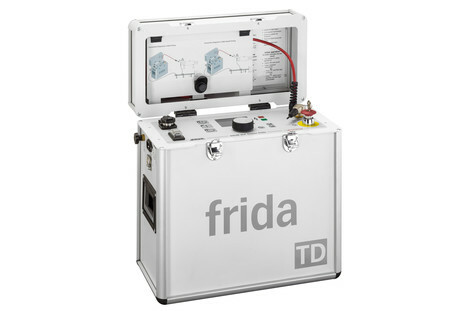 frida: Used for cable and cable sheath testing of medium-voltage cables and electrical equipment up to 20 kV. Another function is insulation testing on electrical equipment. frida TD: Expands the functional scope of frida with the tan delta diagnostics and Monitored Withstand Test (MWT) that combines the cable testing and dissipation factor measurement. This allows for an accurate and comprehensive assessment of the cable condition.